The entertainment industry in Ibadan has been an academy for budding artistes in the country who are tutored on how to excel at the entertainment capital in Nigeria which is Lagos. Over the years, Ibadan has produced a number of top music artistes ranging from the defunct ''Maintain squad'', 9ice, Deebee Collabo, Blaize, Burna Boy, Efa, Freeze, Kenzo, LKT, Portah, Q-dot and a host of other artistes that have offered some sort of uniqueness in their music in Lagos. You will agree with me that in recent times, Ibadan seems to have lost the touch in producing artistes that could compete in Lagos. This issue has been worrisome to the extent that some Ibadan artistes had hit tracks that never left the shores of Oyo state e.g ''Jesu Kamilowo ko'' by Ceeboi, "Won Bi nu by Fabulous Pfizzy", Tonight (Limpopo cover) by Uche Nelson etc. It only took a very short time for Bugatti Records Group (BRG) to scout for a young artiste that could restore the old glory of Ibadan. Yes, they found this young chap called Sossi Agboluaje. Sossi is currently a student at the University of Lagos where he is studying Geography. He is an embodiment of good looks and sounds. He is filled with so much energy, style, innovative singing skills, and a sonorous voice that could be likened to the early morning birds that wake you up in a farm house. A lot of music pundits have likened his voice to that of Wizkid due to his singing prowess. Sossi record songs too easily like someone taking his next breathe. Sossi has rocked the music stages with several A-list Nigerian artistes at big events he has personally lost count of. Just of recent, the Nigerian Police Force uncovered a secret plan by some beautiful ladies on the Lagos Island to kidnap him for monopolistic reasons loool. A close background check on him revealed that he has thrown his record label into a state of limbo concerning the tracks they should massively promote for him. 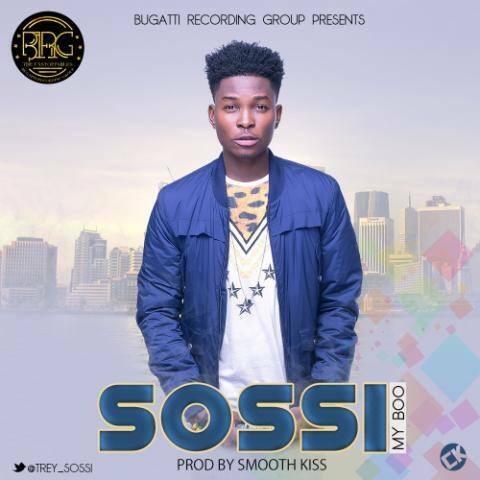 Sossi is greatly making a remarkable progress by carving a niche for himself in the ever-competitive entertainment market in Lagos state despite the uncertainties predicted by cynics. Sossi's ''Seebee'' tune which happens to be his latest tune has been enjoying massive rotations on Radio stations in the South-West region. The song is a creative idea about the rampaging ''Shoki'' dance in Nigeria. The remix is yet to be released with a stunning video. It features the highly-rated Yoruba rapper, Olamide with Oritsefemi. Doubters can as well get the download links of his songs on the internet. Sossi is virtually the next best thing in the Nigerian music industry as well as an inspiration to several other artistes from Ibadan who are scared of competing in Lagos. On this note, I the Village Town Crier has awarded him the title of the Ibadan golden boy by the power conferred on me mouth-piece of my faceless King of Hmm Hmm Hmmm village.